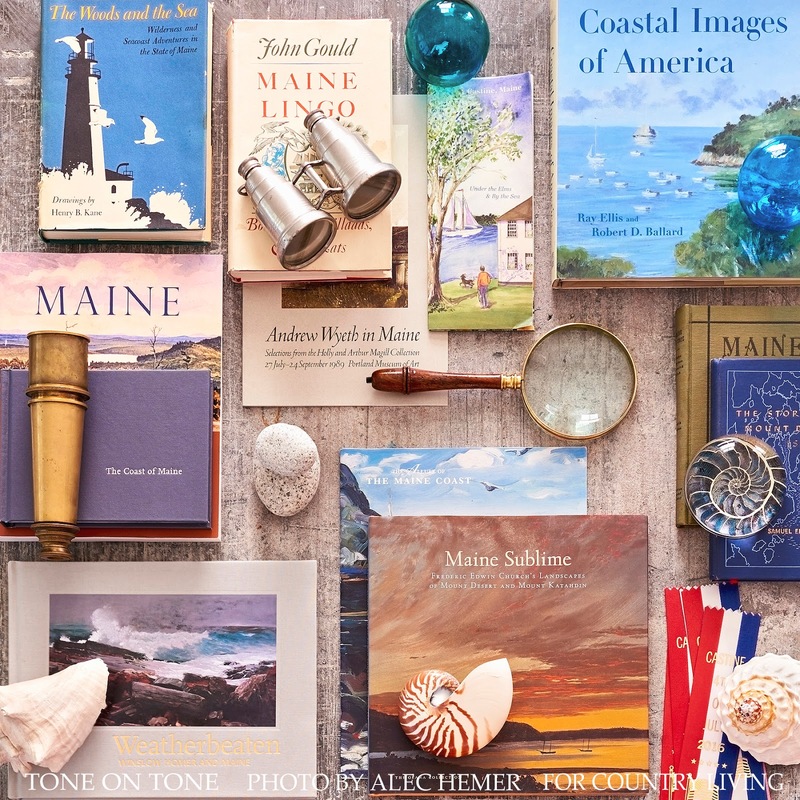 I have exciting news to share: our Maine home is featured in the March 2019 issue of Country Living magazine! Yay!! Read all about the renovation of our 1863 cottage in Castine. A big thanks to the entire CL team - especially Editor in Chief Rachel Hardage Barrett and Homes Editor Jennifer Kopf. These two really championed our story, and I'm grateful to them. 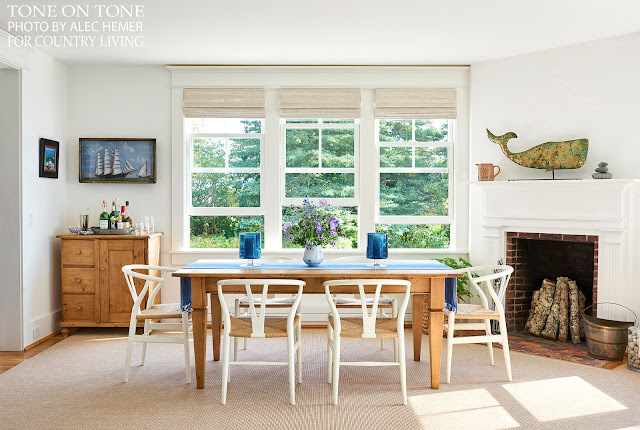 Photographer Alec Hemer made our little cottage look so airy, inviting and idyllic. Tom and I are thrilled with his stunning photos - thank you, Alec. Stylist Elizabeth Maclennan created many magical moments and vignettes. Thanks, Liz. All of the flowers are from Dan's Flower Farm in Sedgwick, Maine. Go to our Maine Instagram site where we shared our day there picking from Dan's organic fields. I loved arranging with such beautiful, fresh flowers! Our front door painted in high gloss "Willow" by Fine Paints of Europe. 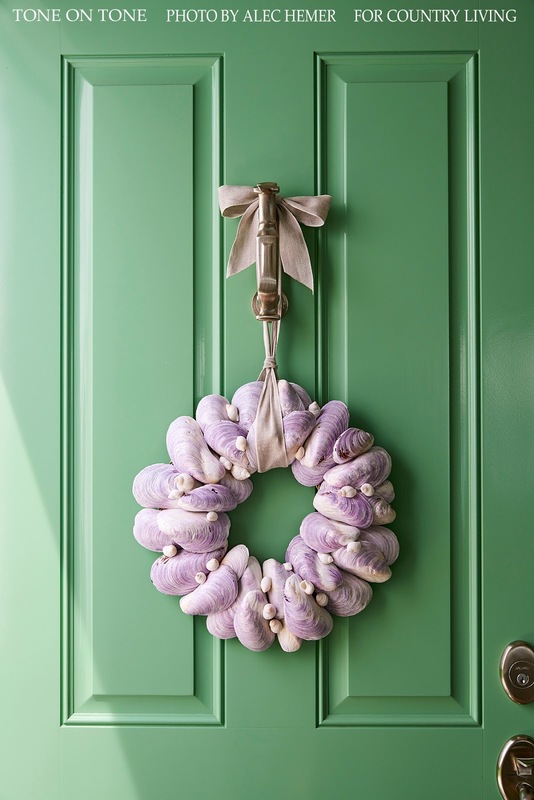 The mussel wreath was handmade by a local artist - available through Handworks Gallery in Blue Hill, Maine. 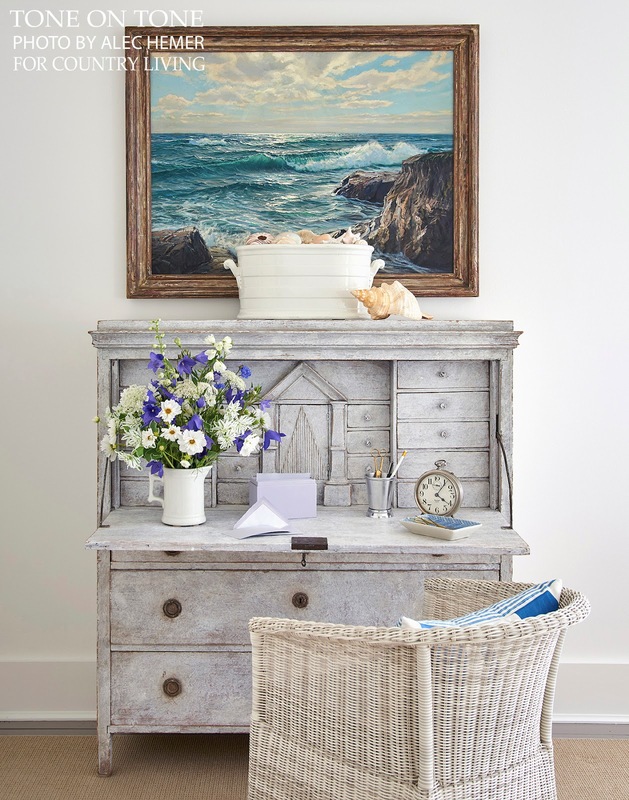 This Swedish Gustavian secretary's chalky surface reminds me of the weathered patina of the cedar shingles along the coast. The decor is a mix of coastal, classic and Continental. I had fun sourcing local coastal art and natural finds like rocks, shells and driftwood. A classic blue-and-white palette, from linens to pottery, runs through many of the rooms. And Continental European antiques give our casual cottage an unexpected sophistication. This coffee table "flat lay" vignette featuring our collection of Maine books, local rocks, and other finds is my favorite shot! There is even a walking map of Castine village. Please pick up a copy of the March 2019 Country Living - hope you enjoy it!